Nine times South Australian Champion, Anthony Beare is noticeably absent from the event, having won it five out of the last six years. Rhys Heinrich has finished second in the event four times in the last five years, with the former National Champion, looking to win his first South Australian Title, to add to his recent win in the New South Wales Title. The field also includes Mark and Steve Gartner, both of whom have finished on the podium in recent seasons, with Jason Duell and Corey Sandow from Victoria also likely to figure prominently across the night. Drivers from all States and the Territory will contest the Title, with some coming to the end of a very long campaign with has taken in the NSW, National and Victorian Titles prior to this Saturday night. 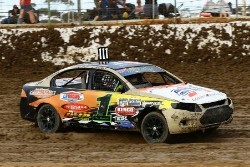 Racing commences at 6.00pm CDST, with the Super Sedan State Title also on the same program.